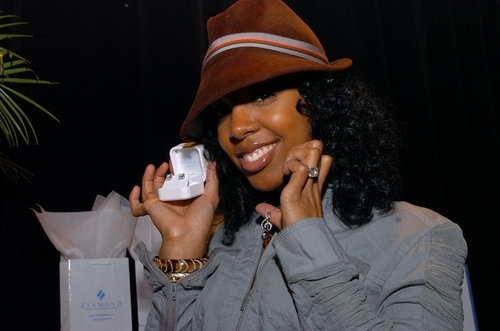 Kelly Rowland, of the group Destiny's Child, poses with her new Ziamond Cubic Zirconia CZ Stud Earrings in 14k white gold. The Ziamond Cubic Zirconia CZ Earring Collection is a reflection of today's smart woman. Earring designs and styles range from simplicity for every day wear to the extravagance of a grand evening out. All items in the Ziamond Earring Collection feature the Ziamond finest hand cut, highest quality Cubic Zirconia and are set in 14K SOLID GOLD and most are also available in 18K or Platinum.